The adorable Wesley Chu announced on Tuesday that he had a “Tao novella” coming out in April, which will bridge his Tao series with his upcoming Io series (set in the same literary universe). If you like speculative/science fiction and don’t know what I’m talking about…. well, you should. Let me help you. Wesley Chu has written three Tao novels: The Lives of Tao, The Deaths of Tao, and The Rebirths of Tao. (The upcoming novella is titled The Days of Tao.) All the books revolve around a centuries-old creature named, uh, Tao. Tao is an alien entity living symbiotically in the brain of a human host. He is not the only one, and he is not young; the ship he was traveling on crash-landed on Earth back before the primordial ooze was doing anything all that interesting. For all those years, Tao, and the others of his kind (known as the Quasing) trapped here with him, have worked “behind the scenes”, jumping from host to host, pushing humanity to the point where they can intellectualize and build the type of tech needed to get the Quasing back home, regardless of the indigenous cost. Or at least, that’s how it started out. In the time between the crash and “today”, lines have been drawn (between the peaceful Prophus faction and the driven Genjix faction), and despite influencing human history down the ages, the Quasing still seem mighty far from finding their way home. 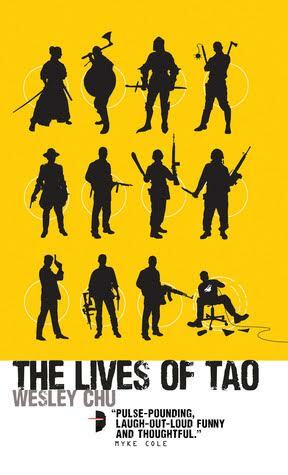 If you haven’t yet read any of Wesley Chu’s Tao books yet (he’s also the author of the non-Tao novel Time Salvager), I heartily recommend picking up the first book in the series, The Lives of Tao. In it, we meet Tao at a moment of crisis, when he must flee from his current host and find a new one on the fly. It’s not that easy to do – a host is very much aware of the Quasing in his/her head, so not just anyone will suffice… unless it means the difference between life and death. That’s how Roen, an overweight, out of shape, unmotivated IT tech from Chicago finds himself suddenly and bewilderingly embroiled in a millennium-old struggle completely outside of his knowledge, and not even close to his comfort zone. It’s not like Roen wants this, but like Tao, circumstances have dictated that he doesn’t have much of a choice. With a centuries old, know-it-all, cantankerous sensei inside his head, Roen is forced from being a video game warrior and somewhat slobby geek into becoming a real life hero, if he can. Sometimes – often – the jury is out if he will be able to survive, and even at its best, the transition ain’t gonna be pretty. But it’s awfully entertaining to watch. The Lives of Tao is intriguing, exciting, and just plain clever throughout. 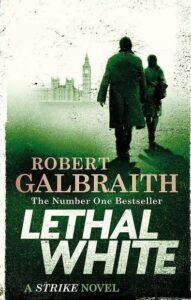 It’s an incredibly easy read, despite the baseline of the story being so substantial, and Roan comes across as a genuinely realistic character – a wise-cracking, self-conscious man-child who wants to be so much more than he is, but has resigned himself to a run of the mill existence – which so many of us can relate to. If the expectation of greatness, spurred on by an insistent, not so little voice in our head, came to us, how would we respond? It’s a delightful platform for a well crafted story, one that feels effortless and fun. I can pretty much guarantee that if you read The Lives of Tao – when you read The Lives of Tao – you won’t be able to stop at just one novel. Nor will you want to.